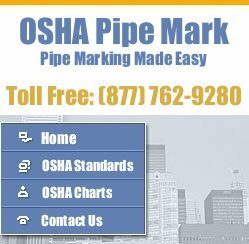 OSHA pipe marking charts can help you determine how to properly mark pipes using OSHA colors and specifications. You should always consult the full text of the OSHA standards when labeling pipes. 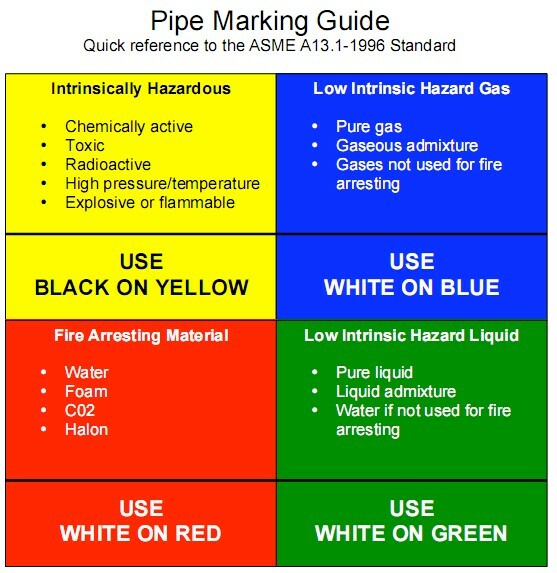 This chart should be kept on hand while creating custom pipe marking labels. If you want this chart in print form for free, please click here. Hazardous materials flow through miles of piping in many industrial, commercial and institutional facilities. 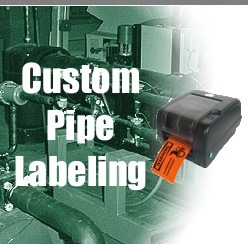 Just like hazardous materials in other situations, piping systems should be appropriately labeled with pipe marker labels to make people aware of the hazardous materials they carry. 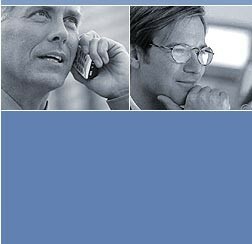 The ANSI A13.1-1981 Scheme for Identification of Piping Systems addresses this concern by offering a common labeling method for use in all facilities.